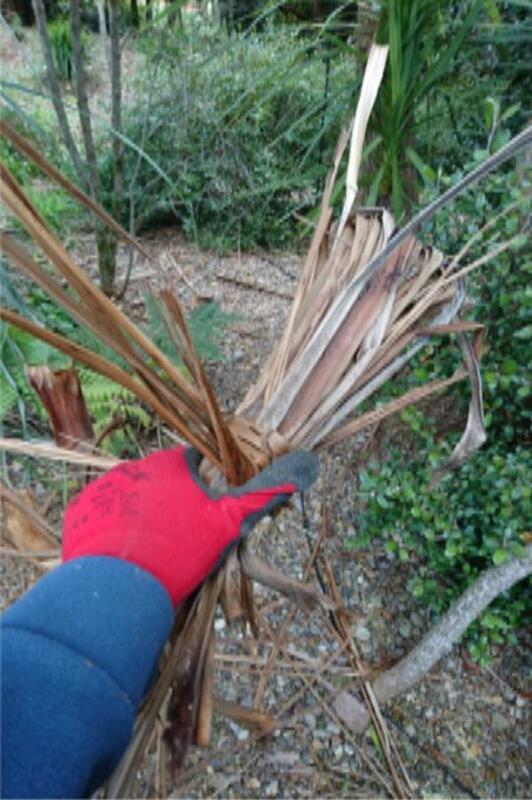 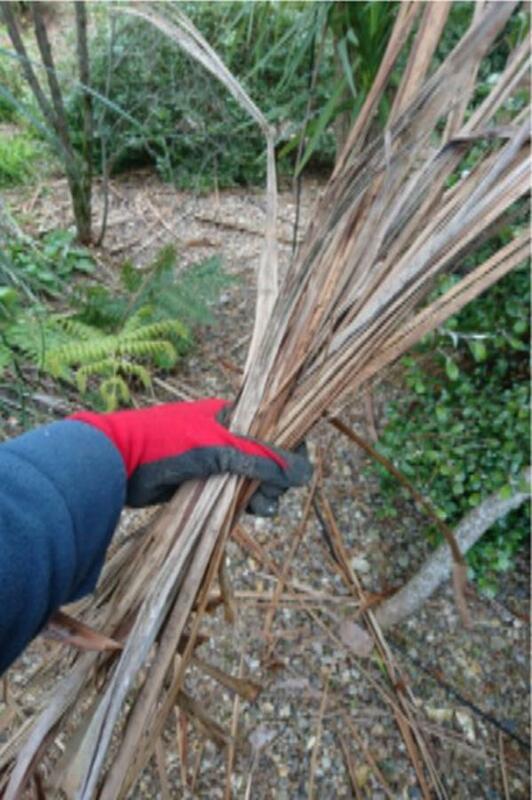 Recently I was talking with one of our clients when the I noticed how few leaves were on the lawn and garden beneath her mature cabbage trees, she shared this neat tip with me which not only recycles but also eliminates a lawn mowers pet hate. 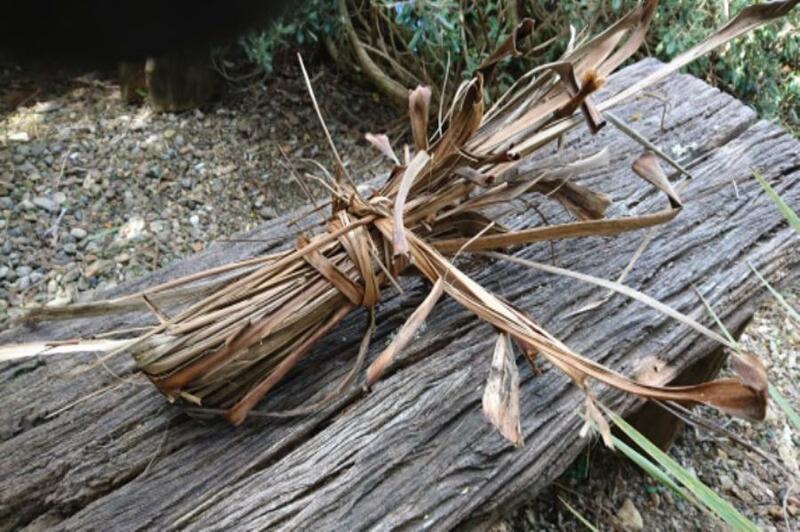 Below is a series of images how to achieve this quick and easy solution. 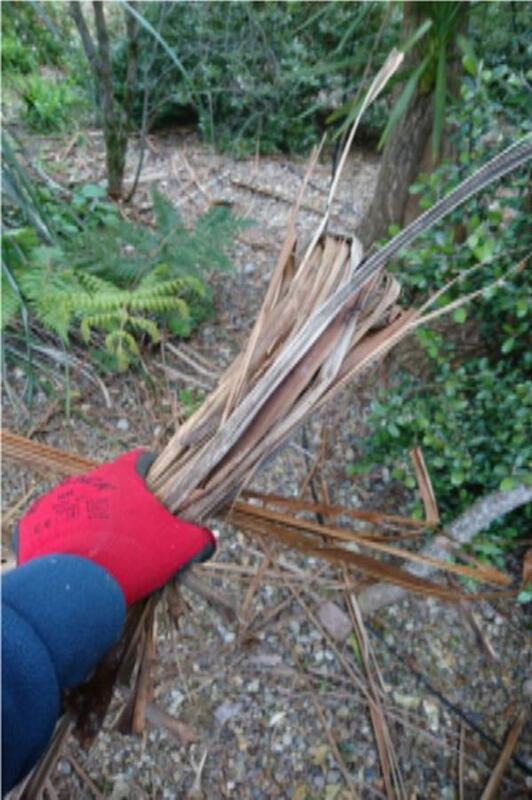 3.Using a couple of extra leaves wrap them around the bundle and tie off.